I think there's a conspiracy to make me out to be a liar. I keep saying I don't "do blues", but here I go again with another one. OPI released two new Designer Series colors for Fall 2010, Radiance (which I didn't get because it's a sparkly silver, and I already have Coronation plus a couple others) and Magic. Magic is just too pretty for words. 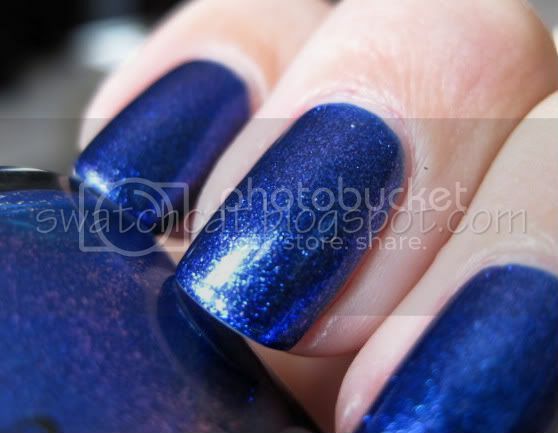 It is not a holo like a lot of the other DS polishes. Rather, it is a very sparkly, foil-like sapphire blue with a turquoise and fuchsia duochrome vaguely reminiscent of Rescue Beauty Lounge's Scrangie. 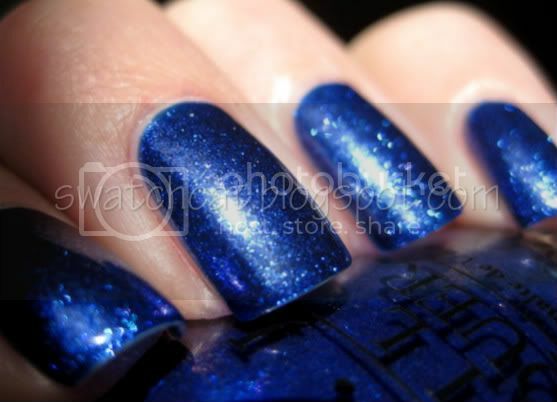 Magic is a much brighter blue than OPI Designer Series Fantasy, which leans more toward navy and has the holo glitter (swatch here). Click the jump for a whole bunch more pictures. I had a heckuva time trying to photograph the fuchsia and turquoise duochrome, but if you look closely, you can see it, especially in the bottle. 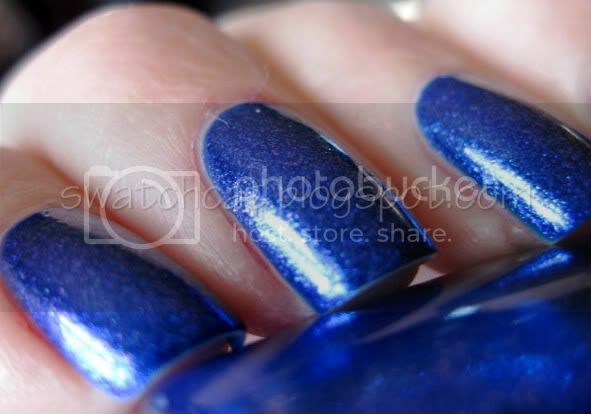 IRL, there is no trouble seeing the duochrome on the nails. 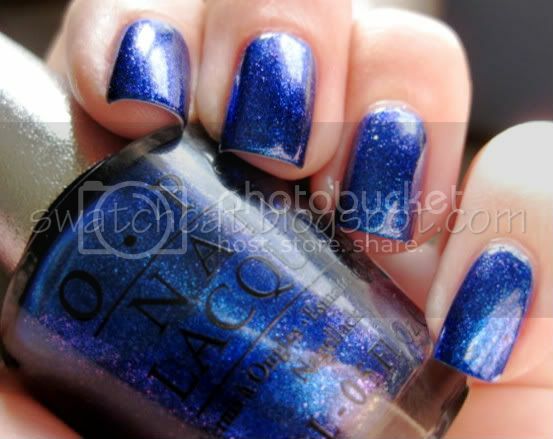 Magic is proof OPI can do really awesome and complex colors. 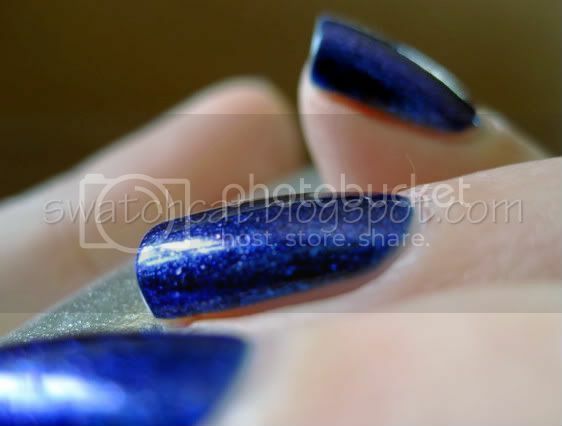 I was not disappointed and found Magic to be even prettier on the nails than in the bottle. I wish OPI would release colors like this more often! 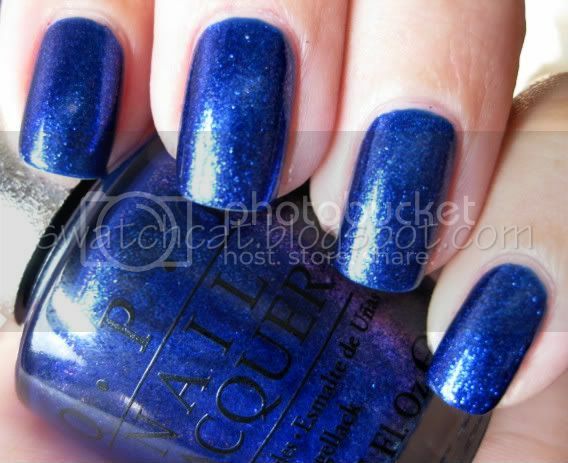 OPI Designer Series Magic is available at most beauty retailers and retails for $12.50 (I believe). I purchased mine through Transdesign.com and saved a few bucks.